The term ‘Impressionism’ was first applied to an art movement in France in the late 1800s which was soon after adapted into a musical genre which favored ethereal tonality, free modulation and an emphasis on orchestral colorization. In both Art and Music, the Impressionist movements played key roles in the transformation from classicism to modernism. 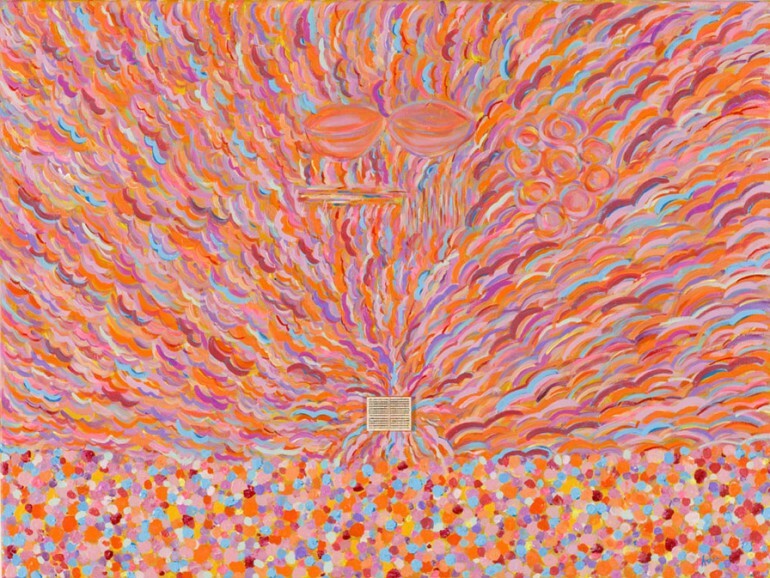 This is a bird’s eye view of a symphony orchestra in concert, sound represented in waves of pastel colors, homage to Monet, flowing outward from the music score positioned at the conductors podium.